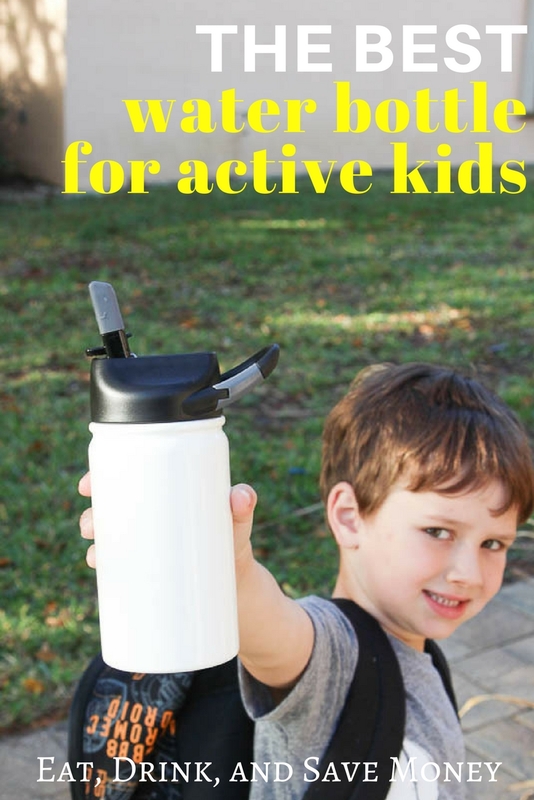 Looking for the best stainless steel water bottles for kid? Look no further! Lil SIC cups are the best insulated tumblers made for kids. Read this post to find out why! It’s not always easy to find a good water bottle for kids. Most of them are cheaply made and don’t last long. 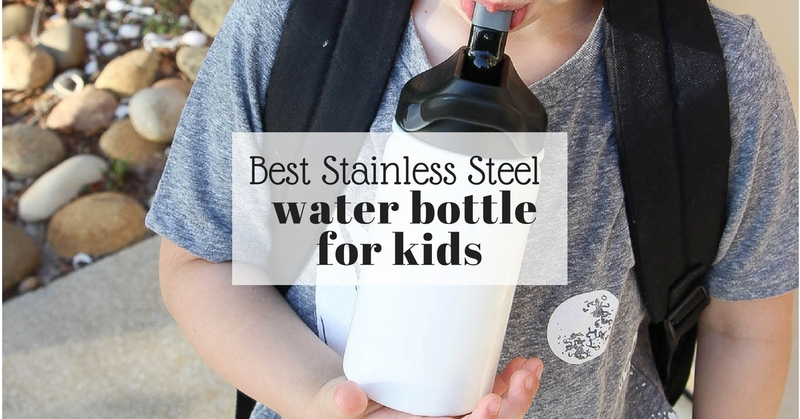 That’s why I’m a huge fan of buying stainless steel water bottles for kids. They hold up well, keep water cold, and are great for travel. 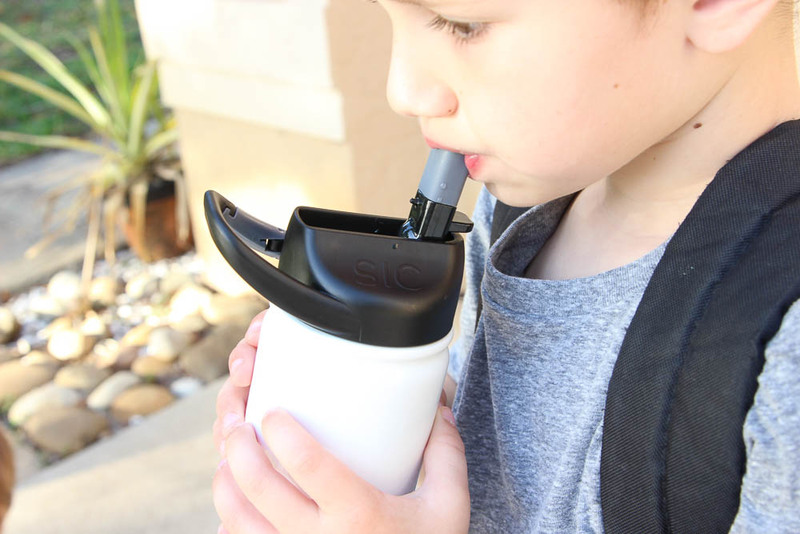 SIC Cups just introduced Lil SIC 12 oz bottles, stainless steel water bottles for kids that keep drinks cold for up to 12 hours. Did you know that it’s recommended that kids ages 5-8 drink 40 ounces of water a day? That’s not always easy to accomplish if you have a busy kid who forgets to ask for water. 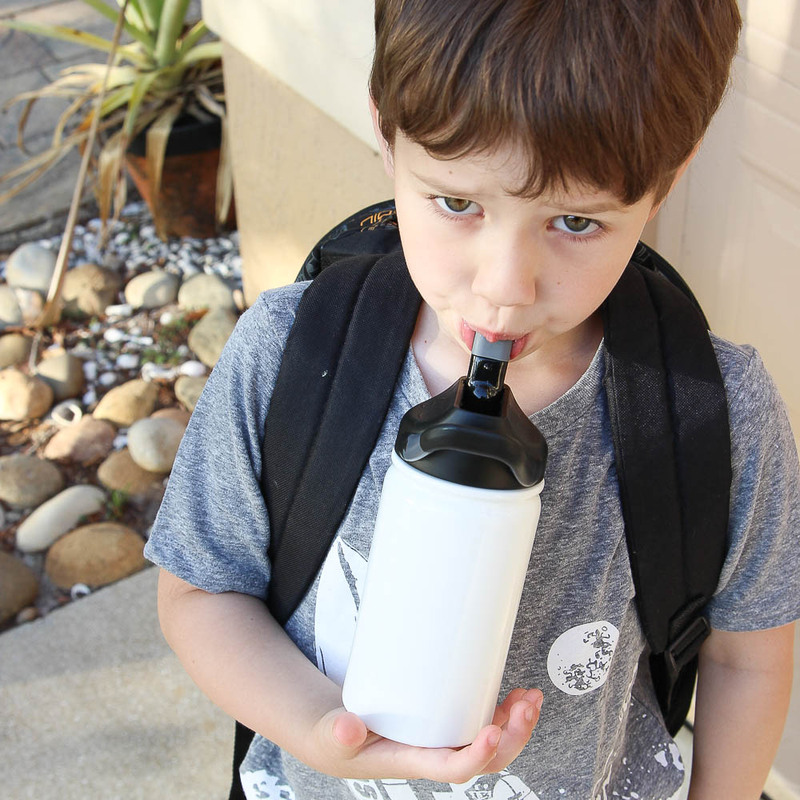 I’ve found that keeping a water bottle easily accessible helps my kids drink more water throughout the day. The Lil SIC stainless steel water bottle is our current favorite for many reasons. Check out why we love them! I’m not even exaggerating! the Lil SIC stainless steel water bottle is made by the same company that makes an entire line of insulated tumblers. All of the products made by SIC are designed to keep beverages cold for up to 24 hours or hot for up to 8. The SIC name actually stands for Seriously Ice Cold. The cups definitely live up to the name! We live in a tropical climate where it’s hot nearly year round. I can testify that our SIC cups have kept beverages cold for 24 hours. I’ve had my ice stay in my drinks for 12 hours! My boys love having ice cold water all day long. These Lil SIC stainless steel water bottles help keep my boys happy and hydrated. This is what my boys love the most! The bottles have a little carabiner built in so you can clip them onto a belt or a backpack. Right now there are 5 colors to choose from: white, cotton candy, pink, black, and seafoam. 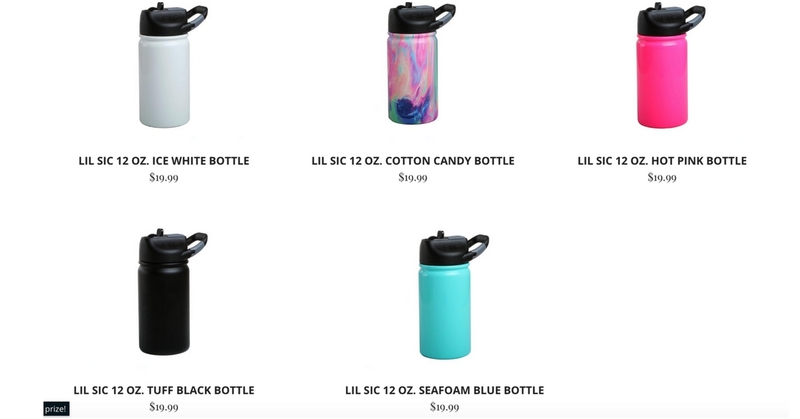 The Lil SIC stainless steel water bottles are only $19.99. SIC offers free shipping when you spend $25 or more. All of the products are affordable so pick 2 of your favorites and get free shipping. I’m always a fan of supporting local companies. SIC is a family owned Florida company. One owner lives here in Naples and the other is in Jacksonville. We personally know the Naples owners and love them. You should know that I love these products so much that I’d promote SIC even if I didn’t know the owners! I just thought you should know that the people behind the products are just as cool as the products themselves. Head to the SIC cups website to learn more. Thanks! I am with you on the stainless steel water bottle bandwagon, so always love good recommendations for affordable ones. And being locally owned is a bonus! It’s such a bonus! I always love supporting local businesses. It’s such a pretty color! I love the pink one. So cute. My daughter always gets upset that her ice melted. This would solve the problem! It would definitely solve that problem! You need one of these! Me too! It’s the cutest! I most like the cotton candy bottle! I love the cotton candy. My favorite has to be the cotton candy! It’s such a cute one! I love the Cotton Candy color! I like the cotton candy bottle! The black one is the best and it is an easy way to keep things for children nice and clean.